The M471i is the biggest of the three TVs in the M series that don't get picture quality features like passive 3D playback, 240Hz processing, and the motion smoother. As a result, the prices for these TVs are significantly lower and make them great value options. 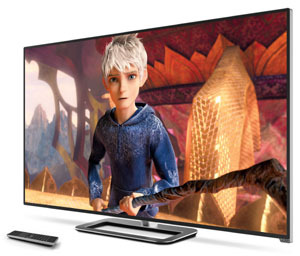 The 47 inch M series is still part of the Razor LED lineup so it's got the slim design and the entire smart TV suite. This TV has shed of few of the top tier features but still has a lot to offer. The overall picture quality of this TV will depend a lot on the picture mode you select. Black levels are reasonably saturated, and the TV certainly has plenty of brightness in whites thanks to the backlight. Image edges don't compete with some of the better Sony TVs on the market, but they were far from bad. From a calibrated picture setting, we noticed a slight push toward yellow/green in color rendition. There is only a 2 point calibration option and no Warm white balance settings. See our calibration settings for more on picture settings. See some of the other picture mode options below. Game – Some TVs have hidden the Game mode but Vizio makes it easy to find right there in the Picture mode settings. It's specifically designed to reduce lag time during gaming using a combination of LED lighting, panel refresh rate, and internal processing. Computer Mode – Very unusual but useful to have this right there in the Picture mode options. Calibrated – Another very unusual but useful mode to choose from, this is the best setting out of the box, but the TV may have a slight yellow, green ;push here. Calibrated Dark – Obviously this mode is for use in a dark room environment. We thought it was overly dim. Note: From Calibrated Mode we found it unusual that there was no Warm color temperature setting. The color temp setting in the more adavnced menu was set to normal when in Calibrated mode. The other color temperature options are Cool, Computer, and Custom. The smaller M series TVs drop the 240Hz refresh rate in favor of a 120Hz panel. This isn't necessarily a downgrade since the noticeable difference between 120 and 240 is much smaller than the 60 to 120 jump. Plus, as the screens get smaller it gets harder still to tell the difference. The 120Hz processing does a good job at smoothing fast action and motion blur. There is some programming where this feature will produce unwanted effects, but a quick disabling of the feature will solve that problem. The faster processing panel is also great for games that involve a lot of camera movement. Local dimming (Smart Dimming feature) on the M471i works to control brightness and contrast in specific areas of the TV. Though we do not see a whole lot of difference when utilizing the feature, it provides a glimpse at better processing and LED lighting on this TV vs. lower end. The specific areas are known as zones and the screen on this TV is divided up into 16 of them. That's not as many as some of the other local dimming LED TVs out there, but the effect is subtle but good. The zones are able to darken individual areas of the screen for higher contrast in dark scenes. The Vizio M series pushes the Vizio Internets Apps, or V.I.A. smart TV platform. It brings just about all the Premium Apps you are really going to use, or need, to the living room. Facebook, Twitter, Flickr, Hulu Plus, M Go, Netflix, Pandora, Rhapsody, VUDU, Amazon, and Yahoo! TV Widgets are a few of the long list that can be accessed right out of the box. Vizio's Apps selection and menu seem somewhat out of date and with the exception of the dedicated Apps buttons on the remote does not work extremely efficiently. The V button in the middle of the remote accesses Smart TV function is not labeled. The Apps options choices are very complete except for Skype. The M471i goes the extra mile and includes an ultra slim quarter inch black gloss bezel that surrounds the edge to edge glass of the screen. A very advanced look for a value TV. The silver metal base and neck are give it a solid construction and feel. The profile is razor thin at around 2 inches and competes with some of the most advanced LED TVs on the market. Unlike other manufacturers Vizio places their logo on the bottom right of the TV which leaves the middle bottom front looking somewhat empty. Overall a good B-grade design. The buttons on the remote are too small in many cases. There are dedicated Smart TV and 3D buttons as well as Netflix, M Go, and Amazon for quick access to those Apps. This TV includes Wifi Direct universal remote. That means the remote works with the TV's built in wifi. 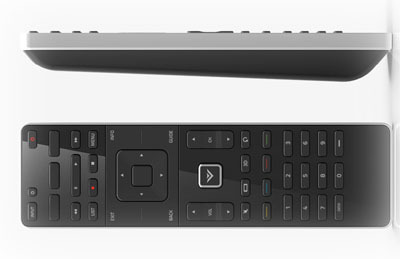 You won't need line of sight like traditional remotes for the TV to pick up a button press. It's a great addition and adds to the ease of use Vizio is going for. The 47 inch M471i sells for a modest $749 and is very attractively priced. You are going to miss out on some of the advanced features all the M series TVs above have like 240Hz processing and 3D playback if you go for this slightly smaller TV. The LG 47LA6200 is some tough competition at the same price and Samsung has the UN46F6300.